It’s time for post number two of our new color series, and today we’ll be talking about yellow! Yellow is such a fun and bright color to work with in design. It’s the definition of being in the spotlight, and reminds me of sunny afternoons and the idea of a “bright future.” I’m excited to share more insight into this cheerful color, and explain how it can best be used in branding. Yellow is a scandalous color. Perceptions around the color yellow range from tone to tone. Most of the hue's famous history comes from France in the 1800's. At the time, yellow was linked to sensationalist literature and decadence. The pigment typically consisted of poisonous materials, and traditionalists were less-than-impressed with the rebellious connotations. But yellow became a key player in the Avant Garde movement and has been closely linked with innovation, progress, radical ideas, and opportunity. Yellow does have a dark past as a symbol of racial stigma and sensationalist journalism, however, blonde and gold tones of yellow are highly valued and seen as ideal. In India, yellow is a highly spiritual and transcendental hue, and yellow tones found in nature are symbolic of optimism, clarity, and light. In any case, using yellow in a brand palette grabs attention and makes a bold statement. In marketing, yellow is a stimulating and energetic color. It's grabs your attention, because our brains actually process yellow before any other color on the spectrum. Yellow is typically always a brilliant and vibrant, no matter what tone you use, so there’s a certain energy and enthusiasm that comes with it. Brands who use yellow are typically cheerful, warm, and friendly. When thinking about using yellow in your brand's palette, consider the personality you want your brand to have. If you're a solopreneur, you may want your brand to imitate your own personality. If you own a small business with a team, brainstorm the kind of personality your brand has that rallies the entire team and communicates your mission. Yellow makes such a bold statement that it's important to strongly consider your brand's mission before utilizing this hue as a primary color. A great starting point for learning about your own personality and how it might play into the personality of your brand, is to learn more about the Enneagram, which is the most powerful and effective personality tool I've come across. Acid yellow is most closely linked with emojis and the 1980's party scene. This color was used on band album art from Talking Heads to Nirvana, and the name was derived from the drugs of choice laser light shows of nightclubs in rave culture. In more current times, this shade of yellow is still linked to the digital social era, and is linked to modern communication and digital trends. If you're thinking there's something interesting about this tone, you're right. It's most commonly believed to have originally been concentrated cow urine from a small town in India. 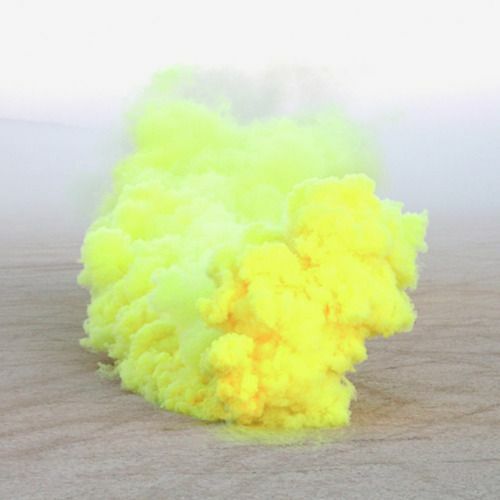 The pigment reeked of ammonia and the powdery ball consisted of a "rotten mustard" exterior with a brilliant yellow core. This tone has a special history in Eastern rule. Chinese belief indicated this color as spiritual and guarded color, reserved for power and prestige. Common people were forbidden from wearing the color, and royal palaces had gleaming yellow roofs to contrast the grey of the general population. The process for dying the exclusive silk was labor-intensive and precise. While this tone no longer holds the significance of its former days, it still commands a particular elegance. Gold has always been a color of reverence and an object of desire. Because of its scarcity in the natural world and rushed extraction, the tone has always held a particular place of honor. In religious art, gold was used to inspire awe and reverence among a congregation - using the material was a form of worship to God and often communicated the wealth of the church. Golden thread in clothing was used by the Romans and among European royalty. The electrons that make up the precious metal strongly reflect light, giving it the effect of "glowing from within." It is the reflective quality of gold that makes it appear real - when the metal is converted to a flat color or leaf, it does not translate well because the light falls too evenly, whereas real gold interacts and bounces back and forth with the natural light. I want to show you the ways that yellow can be used in seasonal palettes. When we talk about a seasonal palette, it doesn't mean that you'll change your brand's colors four times a year. Seasonal palettes are another way that we assign personality traits to palettes and organize visual cues into a cohesive story. When using yellow in your brand's sprint palette, remember to select shades that are crisp and bright, but not too vibrant. 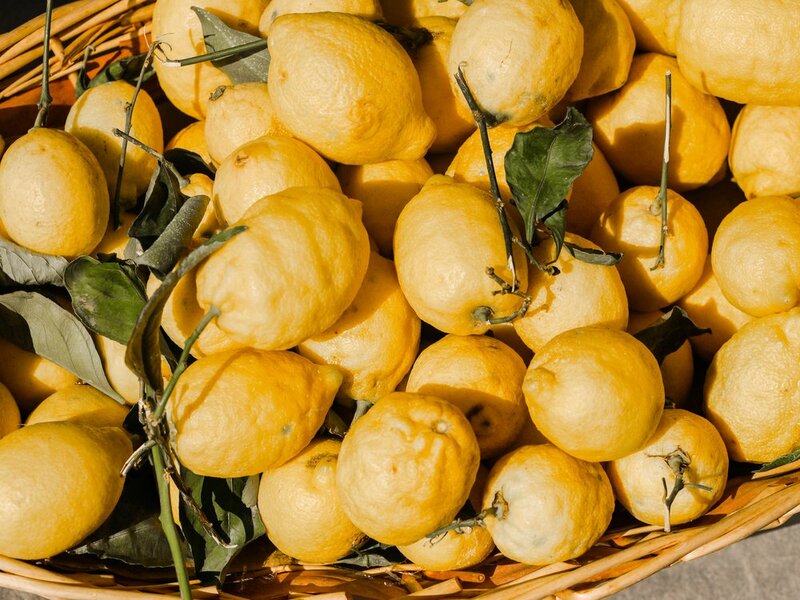 A buttery yellow or crisp citrus will compliment other light and delicate tones. Yellow can be a very bold and attention-grabbing color, so when using it in a spring palette, look for softer tones so that it does not dominate other delicate hues. When using yellow in your brand's summer palette, go for the bold tones. This color will naturally feel bright and vibrant, so don't be afraid to implement pure yellow tones. Just remember to mimic the temperature of your other colors - if you go warmer, select a bright mustard yellow. If your colors are cool, select an energetic acid yellow. When using yellow in your brand's autumn palette, look for shades that are earthy and muted, with warm undertones. This is a great palette to use mustard and indian yellows, mimicking a setting sun rather than high noon. Remember to keep your yellow on the warmer side to compliment earthy autumn tones. Don't be afraid to go more in the direction of warm brown. When using yellow in your brand's winter palette, look for shades that have high-contrast, with cool undertones. This is also a great palette to experiment with gold due to its luxurious nature. To build the dramatic contrast of a winter palette, you could use 1-2 neutrals on either end of the spectrum with a fluorescent highlighter yellow as an accent. The Yellow Co is a conference-based business that inspired entrepreneurial women to become agents of social good. Their bright, summery palette gives the brand an energetic and optimistic personality that compliments their movement. Yellow's mission is to build a community of women who are building businesses to impact the world through social incentives. The name (and color) were inspired by bees - the hardworking insects that make flowers bloom and plants grow. Joanna, the founder of Yellow, loved the color's happy and positive vibe just so much that she named her whole business after it! Bumble is an app that changed the game for online dating, and has a mission to create a space for women to feel safe putting themselves out there online. After a rocky start with Tinder, the founder of Bumble wanted to do things differently. Her brand is also inspired by the bee community and the power of the Queen Bee. The bright and cheerful tone that is now synonymous with the digital empire shines a light on a bright and positive future for the online relational world. The Piece Collective is graphic eye-candy for window shoppers in Venice Beach, California. The yellow triangle has shown up all over Instagram, and instantly grabs your attention strolling down Abbot Kinney Blvd. This winter palette is built on neutrals with the eye-catching yellow accent, perfect for drawing in customers. Sun Potion is a health and wellness brand that uses medicinal plants and superfoods to build a lifestyle built on happiness and well-being. This autumn brand palette communicates the natural and organic ingredients of their products, while harnessing the brilliance of the sun in glowing mustard tones. 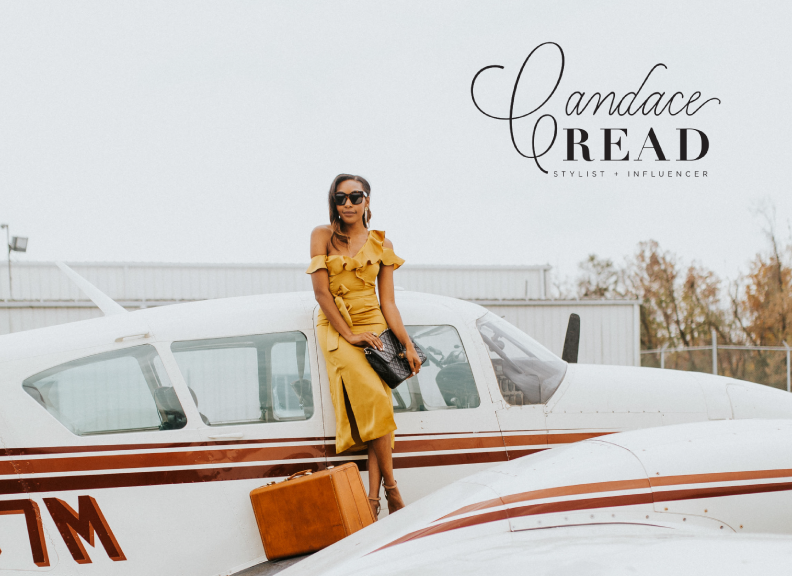 Candace Read is a Drop Cap brand and one of our favorite fashion blogs to follow online! Her rebrand came after five years of building her platform and developing her personal style. Her positive personality and cheerful demeanor could not be better represented by the luxurious yellow tones in her brand's palette. Her style, and personality, are vibrant, elegant, and timeless.